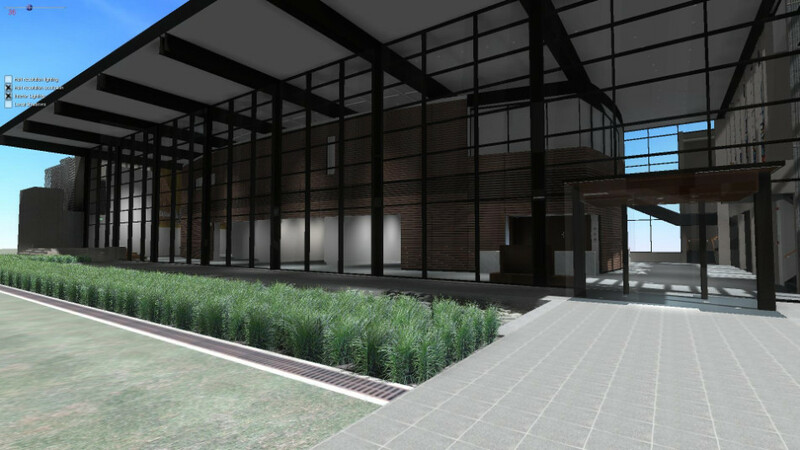 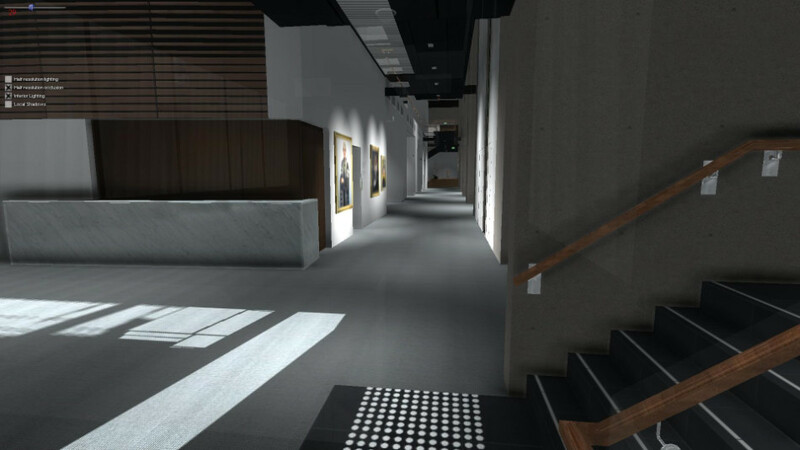 Ortelia has recently performed a significant upgrade on the University of Queensland Art Museum 3D model. 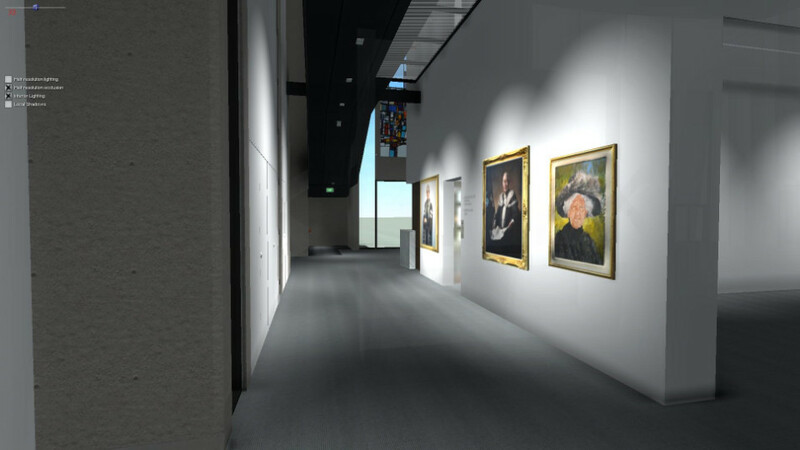 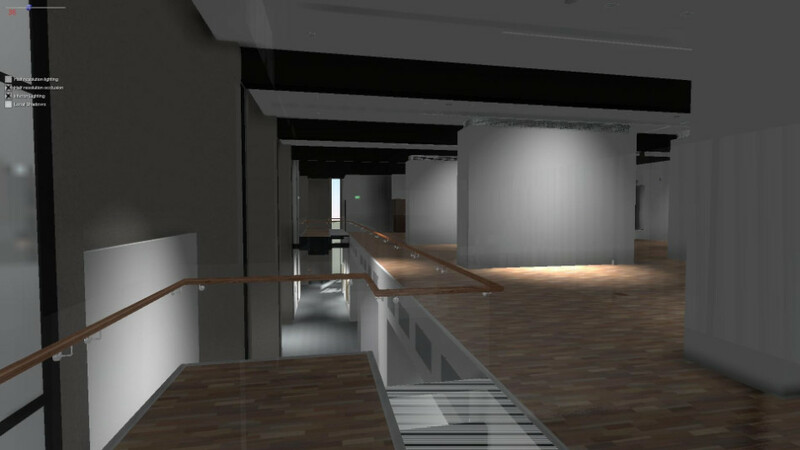 Although the original 3D model used in past archived exhibitions was adequate, it lacked many key features of the space and did not reflect the current space. 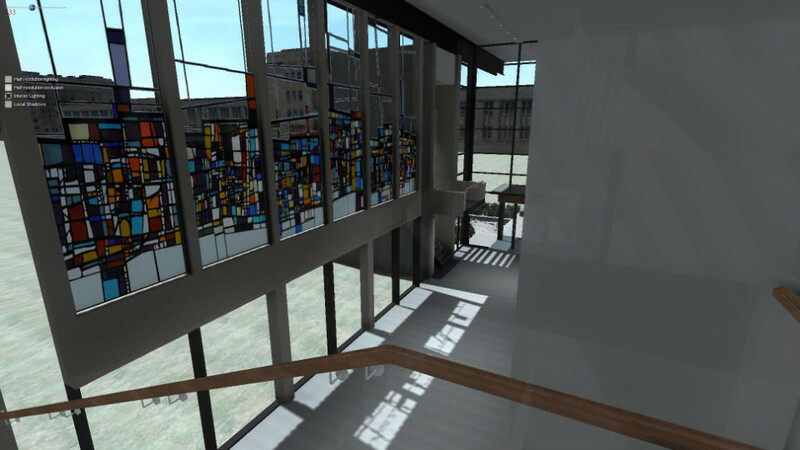 Ortelia undertook and major remodelling of the 3D model to fix errors and update the model to accurately represent the current building. 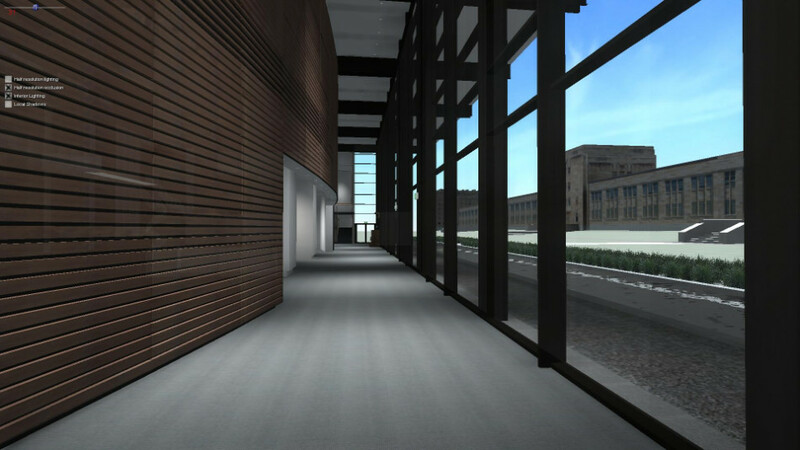 Advances in both software and hardware technologies have allowed us to improve the visual output of the model dramatically. 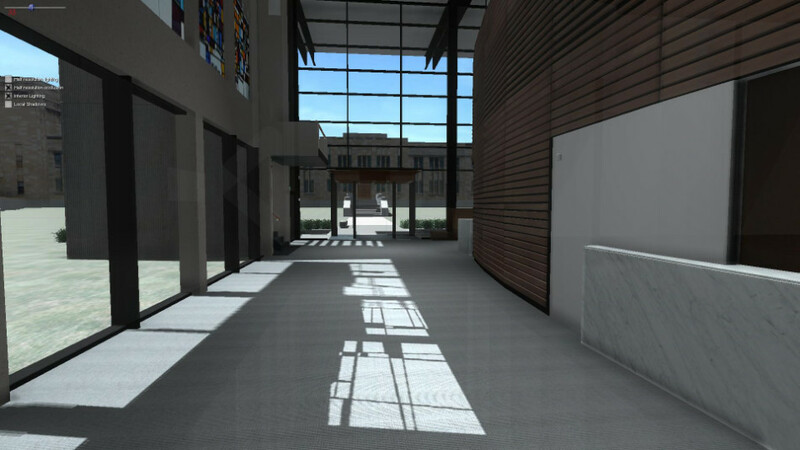 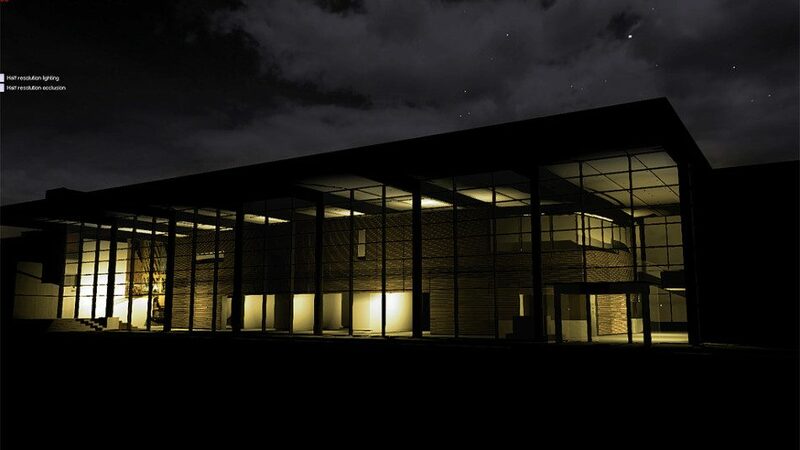 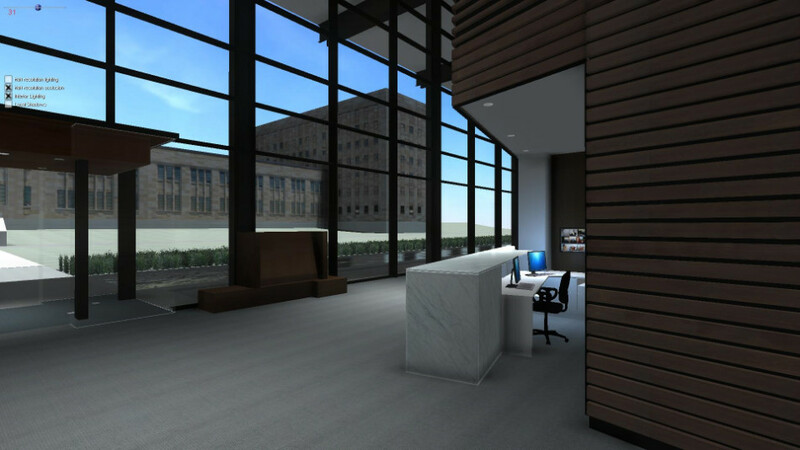 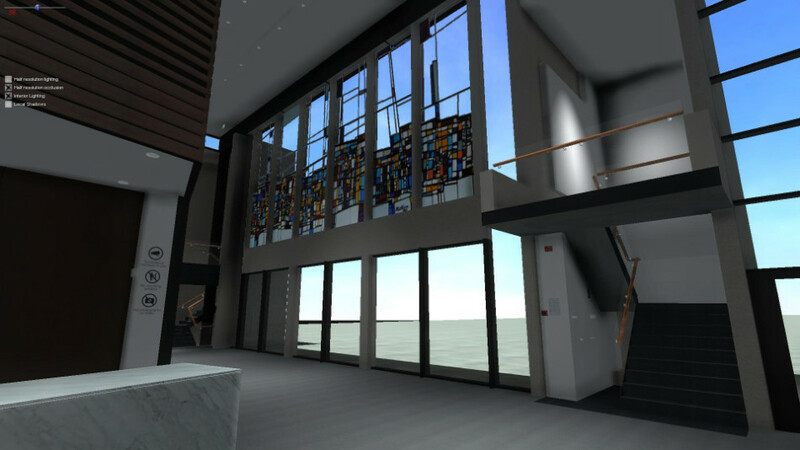 The new model is accurate and incorporates real-time lighting, shadowing and reflections. 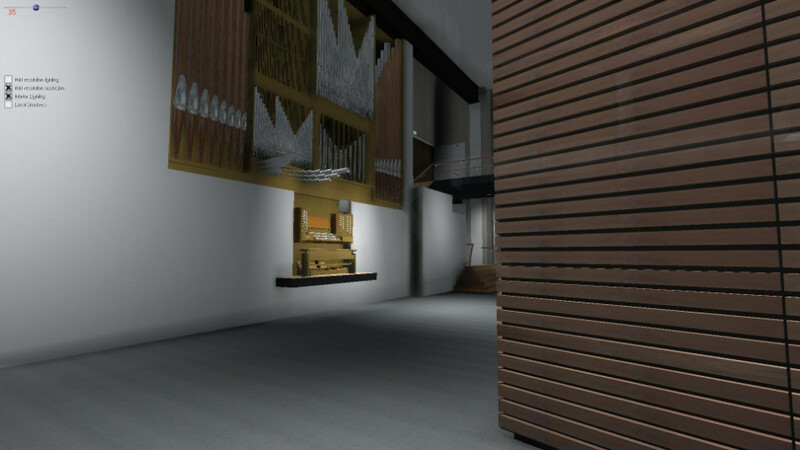 The new model will be used in future Art Museum exhibition archives as well as being added to the Ortelia Curator environment.